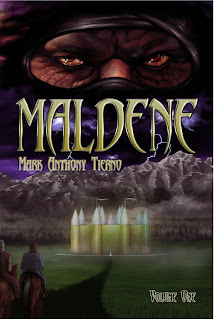 Maldene is a world of fantasy and science, a world of fantastic creatures, characters that range from the crazy to the wise, and home to many astounding secrets. It is also home to the most villainous evil known: Miro (Pronounced MY-RO). It is said that even the gods fear Miro, though they aren't saying why, and stories of this evil wizard go back many thousands of years. The Maldene series spans several continents of this giant Earth-swallowing world, crosses to other dimensions, and later on in the series other worlds and even far distant periods in its history. But it all begins in the first book (currently published as Volume I and Volume II), in which we follow Sabu, Eldar, Sindar and their companions on a search for secrets, destiny, and discovery of what REALLY goes on in the world. Three different continents, journey to a second world, the Sea of A Thousand Islands, Tedelnosho (The Great Whirlpool), the mysterious King who is the only one willing to stand up to Miro's forces, over a dozen main characters, several alien races (from the sea-going Thirdocians to the avian-evolved K˙ecians), and this is just the first book, as but the first chapter in a story that spans several books. This book evolved in my mind from the germ of an idea to adding in different elements over the years. I'd always wanted to do the ultimate villain, and I loved fantasy and SF, of which this story combined both. Finally, while in the course of helping my mom care for my dad (he had Parkinson's Disease), my grandfather's old house burned down, the insurance money from which gave us some breathing space and allowed me some time to start into writing my epic. Just the writing of it did a lot to raise the bleak atmosphere that had settled upon the house and family. I wrote this book under pretty bleak conditions. My Dad got Parkinson's Disease when I was in High School, so by the time I started this little epic he was pretty bad off. Could barely walk without falling, looked like a walking corpse. I was helping out my Mom full time while beating myself up about my own lack of employment (my mom would say, "You have a job, taking care of us"). When the Eaton Canyon fire took out my grandpa's old house (he'd been dead for 20 years but my mom never had the heart to sell the place) that brought in some relief in the form of insurance money. While now helping my mom also clean up the mess left by the fire, I began to write. And write. and write. Now my Dad was saying "when you gonna get a publisher?" in the same tone of voice a parent would scold "when you gonna get a job), and my mom was always trying to sneak a peak over my shoulder to see what I was up to. It lifted the general spirit of the house, more so because what I was working on seemed to be somewhat brilliant by all accounts. My Dad never lived to see my first book published. My kom lived long enough to see it published under my now-former publisher then see me do a reading in a library. 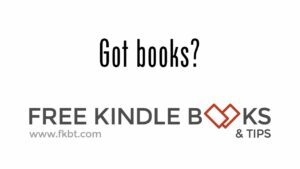 She passed away before I found out that my old publisher was a waste of time. Rupa Dore, reader: "A world beyond time... an adventure beyond imagination"
Charles Saunders, copywriter and author (taken from a review on his site): In the preface to his two-volume epic, Maldene, author Mark Anthony Tierno invites readers to imagine "a giant, Earth-Swallowing sphere, swaddled green with the color of life, the glare of its giant blue star glistening off its atmosphere in colorful, almost aurora-like bursts of light... a planet all filled with magic, mystery, and utter strangeness." It takes a big imagination to envision a story equal to such a setting. Tierno, a Californian who holds advanced degrees in physics and mathematics, has created a story that fills a huge sprawling canvas upon which numerous nations, deities, sorcerers, thieves, and warriors vie for glory- although more often than not, mere survival will suffice.